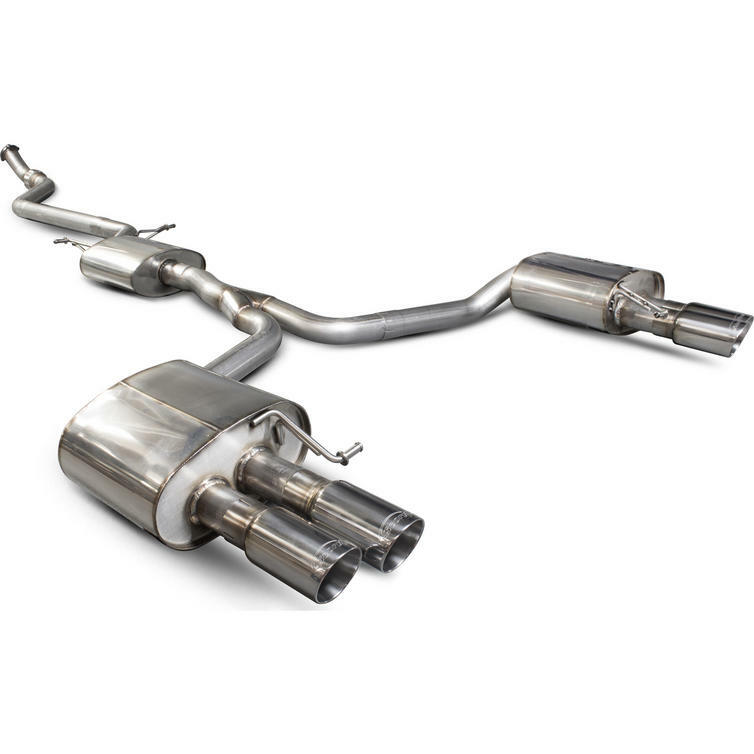 The Scorpion Car Exhaust Cat-Back System (Resonated) - Audi A5 B8 2.0 TFSi 2012 - 2016 is part of the latest Scorpion Exhausts collection. 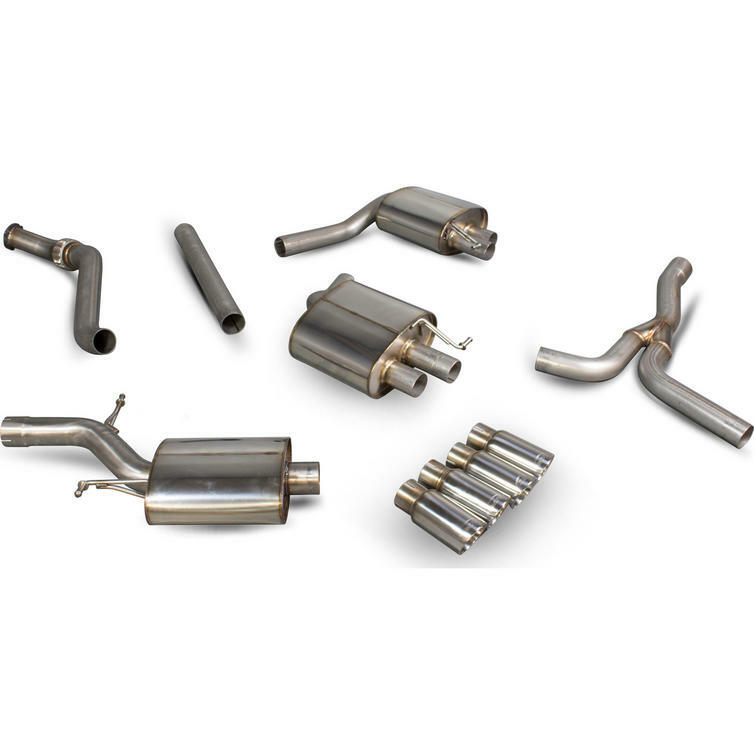 Scorpion have now completed a range of performance cat-back upgrades for the Audi A5 2.0 TFSI. 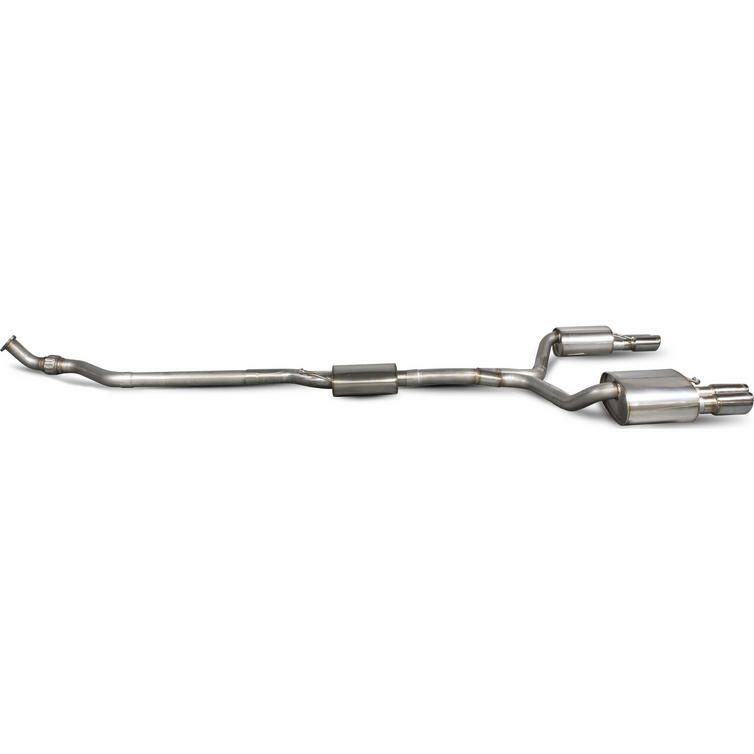 Available as a cat-back exhaust there are various options to suit each driver individually including resonated or a slightly sportier non resonated centre section. 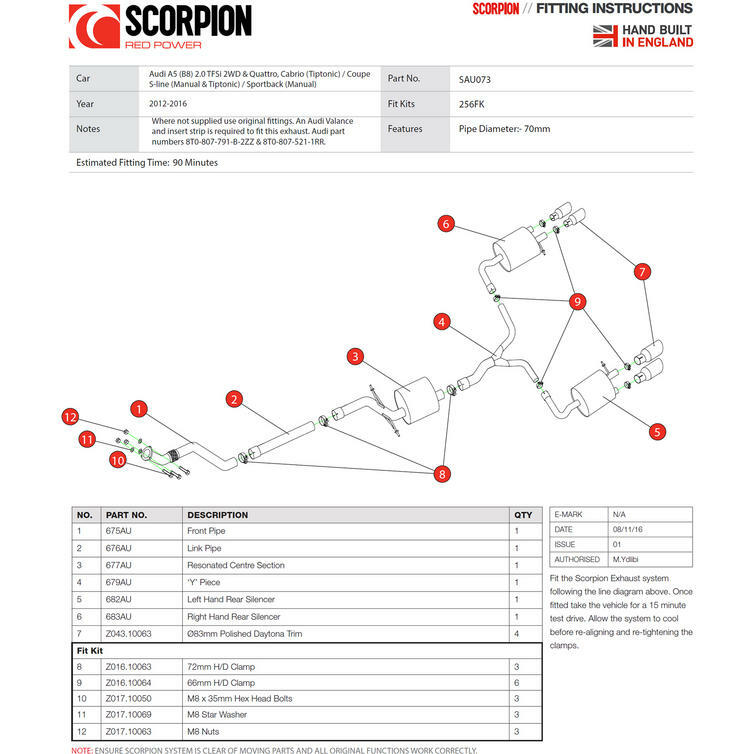 Constructed from 70 mm T304 pipework throughout Scorpion development engineers tailored the system to increase power, throttle response and eliminate any in-cabin drone. 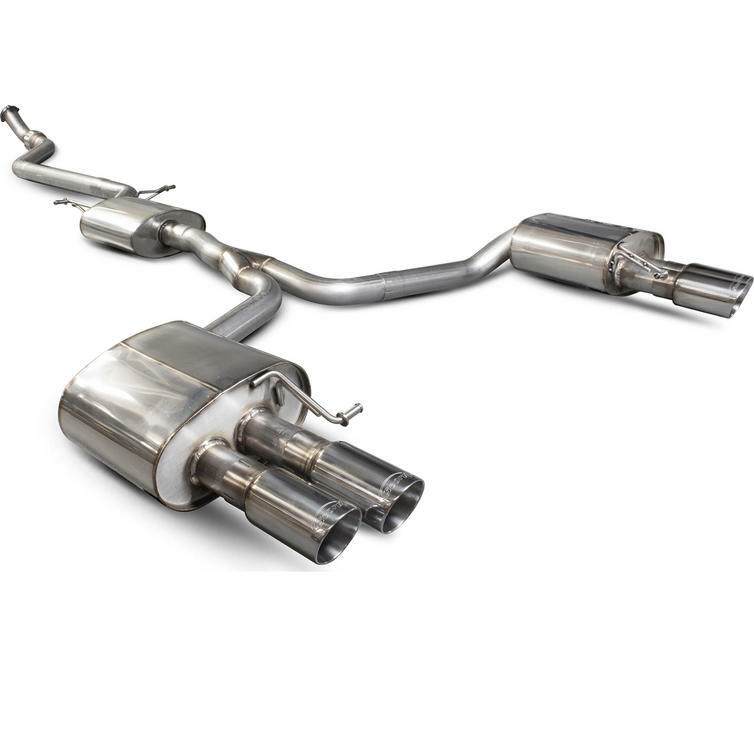 Both twin and quad exit exhaust systems are available meaning tailpipe options vary, 2 x 100 mm Daytona's for the twin system and 4 x 83 mm Daytona's for the quad version in which you'll have to purchase an S4 rear valance through your local Audi dealer. 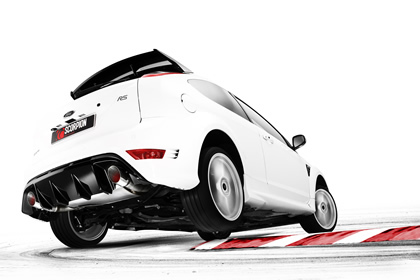 Both tailpipe options 2 and 4x are available in polished or black ceramic.